Recently profiled by the Washington Post, Burke Harris was recognized for her work at the San Francisco-based Center for Youth Wellness (CYW). There, she has worked to address the needs of families in the low-income neighborhood of Bayview-Hunters Point by using the emerging understanding of the impact of ACEs on lifelong health outcomes. But Burke Harris has also struck a leading advocacy position that extends past the Bay Area in California. She pioneered the development and use of a universal tool to screen children for childhood trauma that has been downloaded from the CYW website more than 1,100 times over the past 13 months. Burke Harris also recently spoke about childhood trauma at a White House convening about school-discipline reform in September. 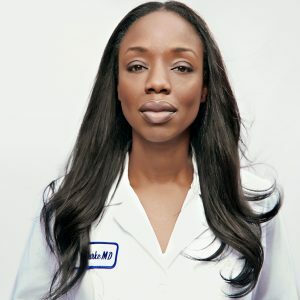 She has also struck a chord with the broader public, thanks to a September 2014 Ted Talk entitled, “How childhood trauma affects health across a lifetime,” which has been viewed nearly 2.4 million times and led to her selection as the keynote speaker for the 2015 American Academy of Pediatricians’ national conference. Burke Harris has continued to spread the word about the impact of ACEs through a biannual conference, sponsored by the CYW. At the most recent conference — held last month in San Francisco — Burke Harris spoke with The Chronicle about the growing clout of the ACEs movement, her changing role and more. The Chronicle of Social Change: This marks the second conference around ACEs, which has drawn folks from around the country in several different fields. What’s different about this year’s gathering? At our first conference in 2014, it really was about sounding the alarm and raising awareness and bringing folks together. And we had about I think between 200 and 250 folks that came together. This year, we got to 500 people, and we had a waitlist of 150 more people. We had to close registration, so the response has been amazing. The focus of this conference is moving from awareness to action. So our goal is to facilitate the movement by creating connections, by giving folks knowledge and tools, and by giving them a little bit of inspiration. CSC: As a practitioner as well as someone who has spoken widely about ACEs, has the growing awareness of ACEs changed the way you see your role? NBH: I do feel like my role is changing and it’s really exciting. I’m having a ton of fun with it because I think that – the work of the movement for me has really paralleled the work of the development of the Center for Youth Wellness. When I came in, I was a little bit like head cook and bottle washer, where I was our research department, our PR department, our whatever. And similarly, what I’m seeing in the movement is really a parallel, too. I think the role I see for myself more and more is to try to continue to dream big. To try to bring people together and galvanize folks to action, and get the resources – get those resources, because that’s the big thing that we need, is a huge next step, is opening up the resources that is going to support this movement. CSC: What is it going to take — politically, culturally and economically — for elected officials to be able to make a greater investment in responding to the health challenge posed by childhood trauma? NBH: What we need to see now is direction of resources at every level. At the city and county level, at the state level, and at the federal level – investing in number one: raising awareness and public education. Because through public education, we can do prevention. There are still – despite the wonderful experience I had at the White House – there are still a lot of folks day-to-day who don’t know, who don’t understand, how dramatically early adversity affects health and wellbeing across a lifetime. So we need public education. We need to support the infrastructure for early identification and effective treatment, and we need to put resources into advancing the research so that we can catalyze, step-wise, advancements in treatment. I think a lot of times we think that the politicians are going to do this, and we do need to get our political leaders on board, but I believe the leadership is going to come from us. Really, there is a groundswell of demand for services that are able to effectively detect and address these issues. I think political will comes from all of us, from the constituency, you know? CSC: In the past couple years, a couple high-profile studies have found genetic evidence for the way that trauma has been passed down from one generation to the next. What kind of challenge do these findings present for your work? Do your worry that the cross-generational genetic changes as a result of trauma suggest that related health outcomes may be something like destiny for some people? NBH: No and, in fact, epigenetics is actually the opposite of destiny because what we find is that some of these epigenetic changes are reversible with intervention. I think that there are huge opportunities for us to develop new targets for intervention. And at the same time, we don’t have to wait. We know there are things that work now, and I was talking about the six things: sleep, nutrition, exercise, mindfulness, mental health and healthy relationships. Those are things that have demonstrated impact on our epigenetic regulation, so I think that the science is very promising, but at the same time there’s plenty that we can do right now. Dear Dr. Harris – thanks for your amazing work and its contribution to addressing health inequity on a national level. We talk about ACEs in our work fighting health inequity and disparities in folks of color particularly and have been working with Dr. Camara Jones. I am asking that you please include our campaign against institutional racism in your work as we’ve included your work in ours because we know that these ACEs contribute a great deal to future chronic diseases disproportionately seen in folks of color and including the ONGOING trauma right now at the Standing Rock site. Imagine what those kids are going through right now. I would love to collaborate on your work, which is the hallmark of my profession; not sure if you’ve ever worked with Physician Assistants before, but we are physician extenders, making MDs more productive and increasing their reach. Please let me know if this sounds reasonable and helpful to you. My email is listed below. Again, thanks for all you do and I will make myself available to you, here on West coast time. Hi, Leslie: I suggest contacting Dr. Harris at the Center for Youth Wellness in San Francisco, CA. Dear Ms Harris, we integrated ACES at my non profit. Thank you for your hard work and taking this to the white house, you are a hero!